Learn from the best! 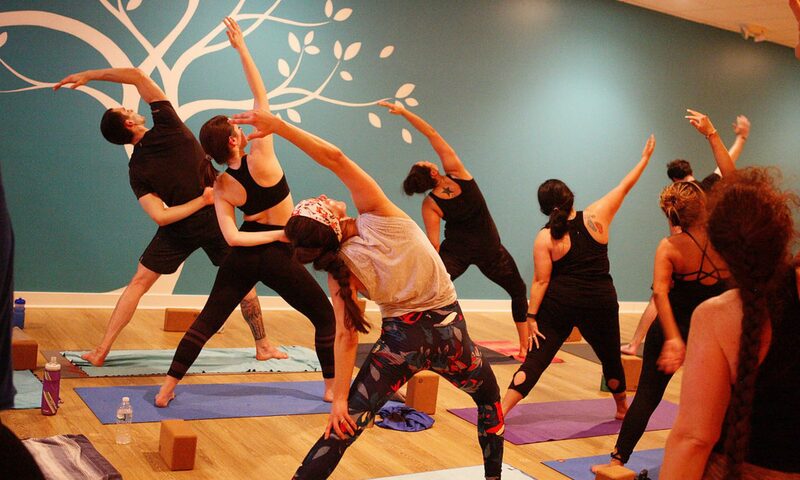 This 200-Hour Yoga Alliance Affiliated Yoga Teacher Training, which is led by Jamie Marion, is great for those hoping to start a career teaching yoga as well as those hoping to deepen their practice. You’ll graduate with a deeper knowledge of the philosophy and physical practice of yoga and you’ll be prepared to teach, if that’s what you desire. This 200-hour certification will qualify you to apply as an instructor anywhere. While we do not guarantee employment post-graduation, we do hire strong instructors from our training program. 10 of our instructors completed their Teacher Training at Twisted. • Vinyasa focused training, but also exposing trainees to: restorative and yin yoga, pranayama, meditation and teaching yoga to specialized populations. Training Times: Tuesday-Friday 7am-3:30pm. No class July 4-5. Tues/Thurs sessions will be at Caledonia, Wed/Fri sessions will be at Knapp’s Corner. Tuition: $3,000. Early bird pricing of $2,750 when you pay in full by May 14, 2019. Tuition includes an unlimited membership for the entire summer. Payment plans are flexible, but you must be paid in full by graduation. Deposit of $500 due at registration. See All Yoga Teacher Training Requirements Here. Tuition: $3,000. Early bird pricing of $2,750 when you pay in full by August 31, 2019. Tuition includes an unlimited membership for the duration of your training. Payment plans are available and consist of 6 equal payments of $500. First payment due at registration. We can set up a different payment plan if you prefer, but you must be paid in full by graduation. Interested in Yoga Teacher Training? Any specific questions about this training?